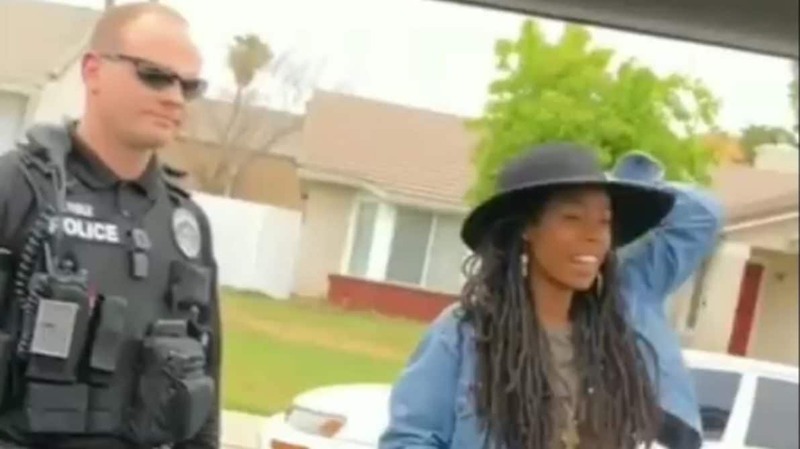 A Black woman who vacationed with friends and stayed at a California Airbnb said they were swarmed by police and detained after a neighbor reported a group of Black people were taking luggage out of a house. Call it a case of vacationing while Black, which joins the ranks of other racially insensitive run-ins with cops where Black people have had police called on them without cause, manhandled or brutally beaten. “During our time in Cali we have been staying at an Airbnb. The 30th was our second morning and at about 11am we checked out. The four of us packed our bags, locked up the house and left. As you can see 3 of us were Black. About 10 seconds later we were surrounded by 7 cop cars. The officers came out of their cars demanding us to put our hands in the air. They informed us that there was also a helicopter tracking us. They locked down the neighborhood and had us standing in the street. Why? A neighbour across the street saw 3 black people packing luggage into their car and assumed we were stealing from the house. She then called the police. Their harrowing story began to make the rounds on social media over the weekend sparking outrage. Four brilliant Black women checked out of their @Airbnb. A white woman outside waved at them and they didn’t wave back. Then helicopters & a slew of police cars swarmed the area. Airbnb has since responded to the incident and have reached out to the victims of this incident, expressing their full support. “Airbnb’s mission is to create a world where anyone can belong anywhere and we have aggressively worked to fight bias and discrimination in society. We encourage anyone in similar situations to contact us. We are also reaching out to our partners at the NAACP, National Action Network, Color Of Change, and others to discuss this matter and ensure we are doing all we can to protect our community when they travel,” the statement reads.